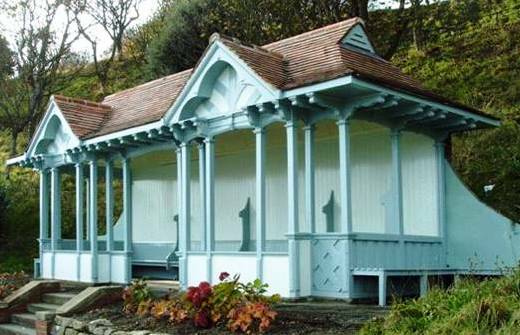 There are 15 shelters in the South Cliff Gardens and during 2007 major improvements were made (Click on this link to see before and after) If you see damage, including graffiti, in the Gardens report it to the Council by 'phoning Customer First on 01723 232323. Please do not assume that someone else has already reported it. If you walk regularly in the Gardens, and see damage or graffiti that you have not seen before, please report it! Crime recording statistics are used when the authorities decide where to focus their resources. 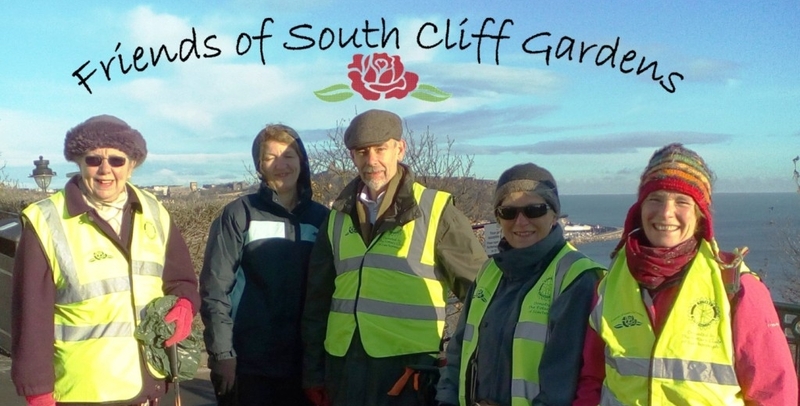 The police say that reports of anti-social behaviour in South Cliff Gardens are at a lower level than in other parts of Scarborough. Read more about the restoration work by clicking here. Gardenia BS 10 B 15 Dulux High Gloss Trade. U/C White. Braemar BS 14 C 35 Dulux Trade High Gloss. U/C Light Grey. When roof beams etc. are being retreated these should be given an appropriate sealant before a protective top stain/treatment is applied. Where new untreated wood is being painted a suitable wood primer should be applied before undercoating and glossing takes place. It is essential that an undercoat is applied before any glossing, as past experience has shown that where only a gloss coat has been applied the paint easily peels and the work has to be repeated within a short period of time. The purpose of this information is to aid those who become involved with the on-going maintenance of the shelters and to show the designated colour to be applied when painting takes place.